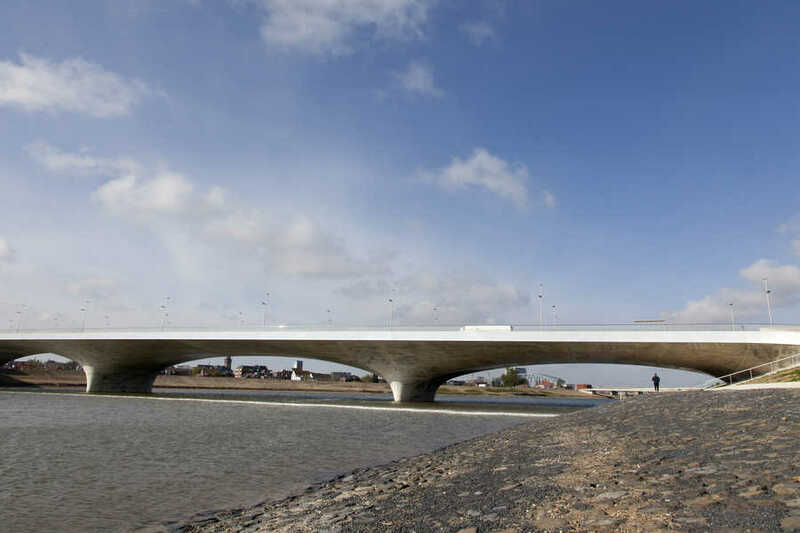 The Extended Waal bridge in Nijmegen is a continuation of the historical Waal bridge, and is the main link connecting the city of Nijmegen with Lent and Arnhem. 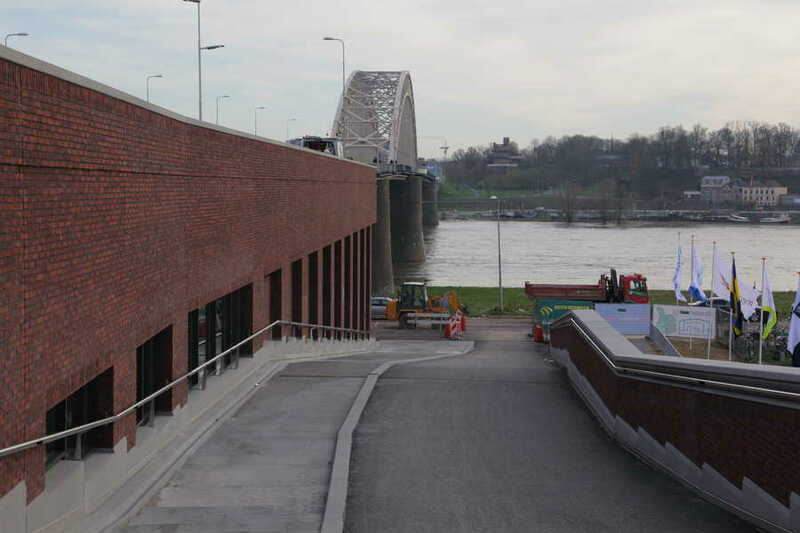 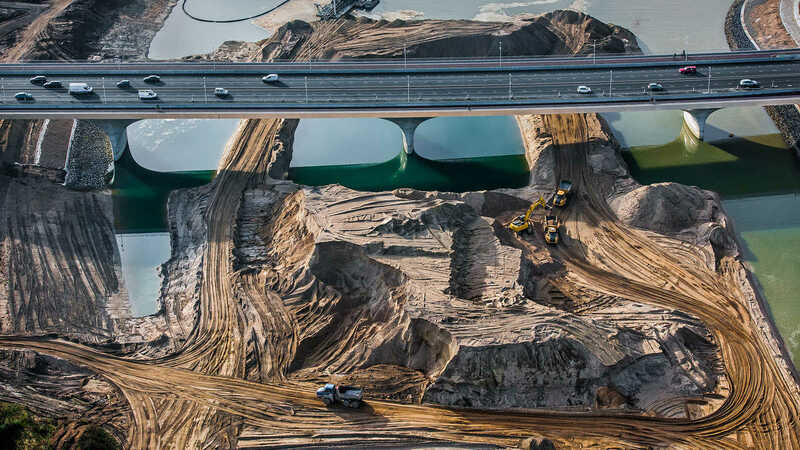 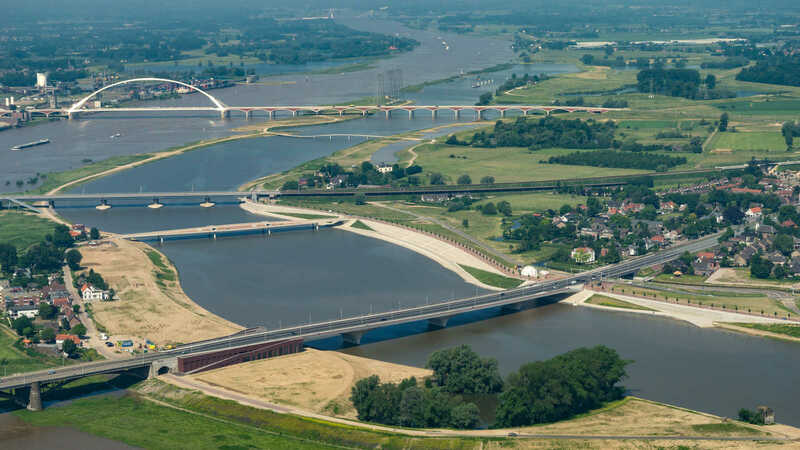 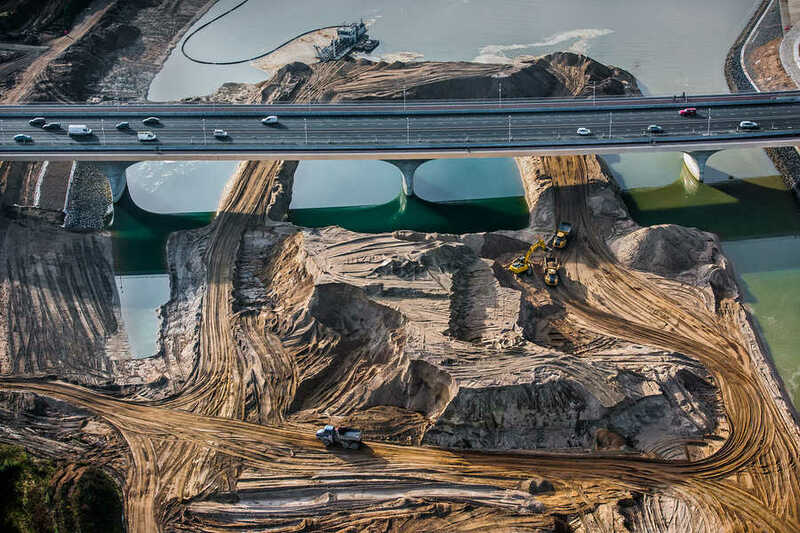 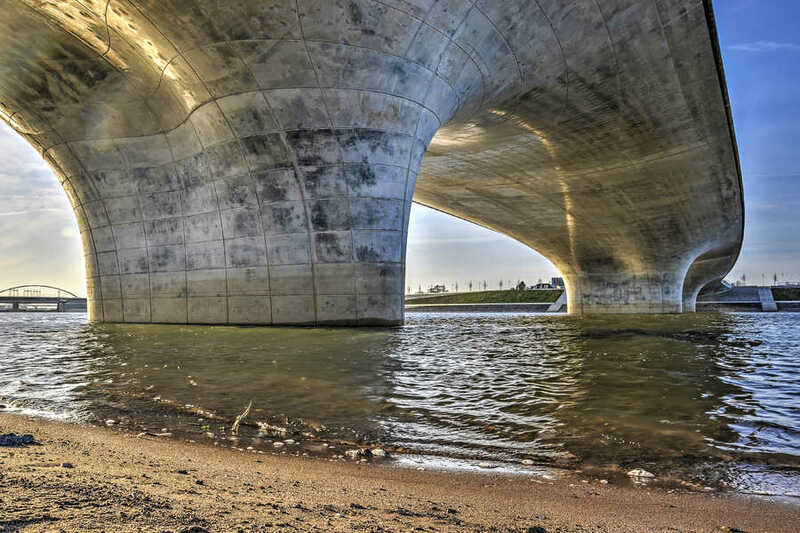 The bridge is part of the project "Ruimte voor de Waal", which aims to bring the water levels in the river Waal under control by means of shifting the dyke and constructing a secondary channel. 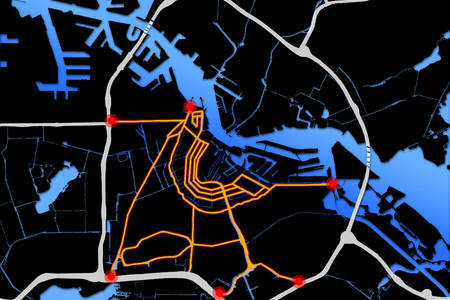 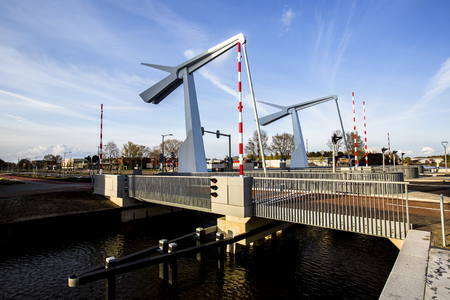 • The Bastion, the connecting element to the existing Waalbrug. 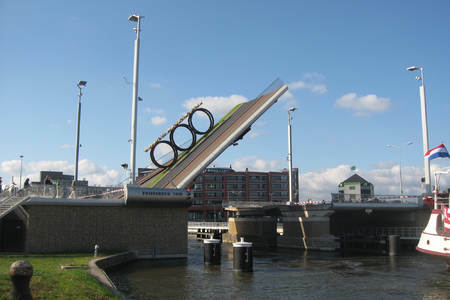 Resulting from the theme "Room for the River", the Extended Waalbridge is not so much built for traffic, as was the old Waal bridge, but more for the flow of water. 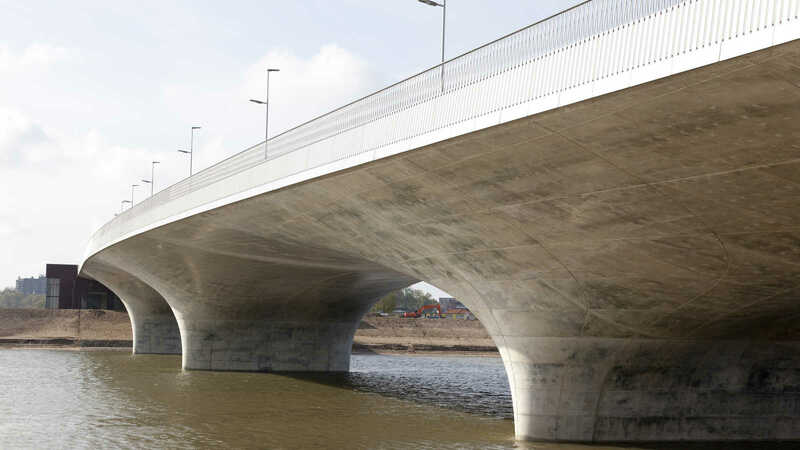 Instead of allowing movement of traffic over the river, this bridge enables the flow of water under the bridge. 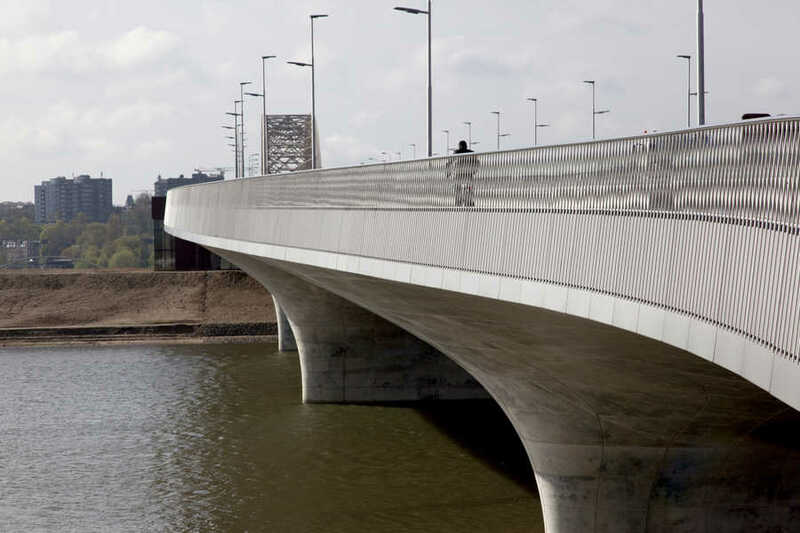 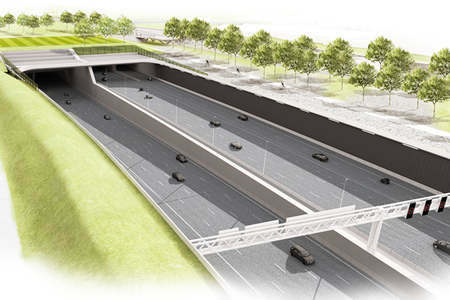 This reversal also determines the contrast between the Waal bridge and the Extended Waal bridge. 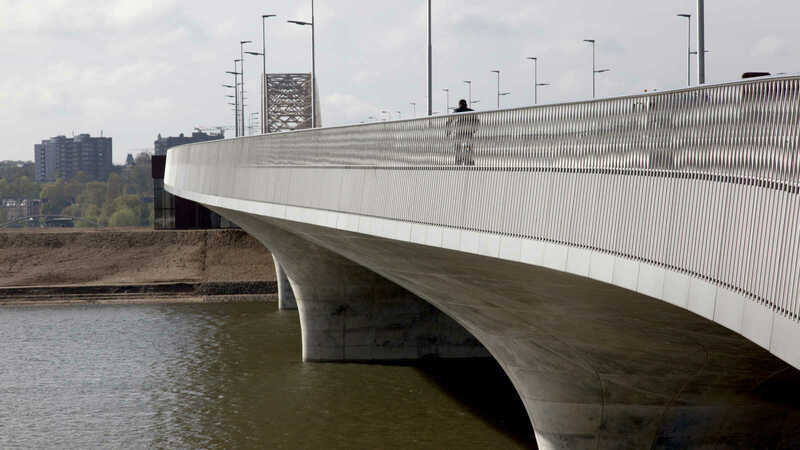 The new bridge has been built to facilitate the water, and therefore has a character determined by the movement of that water. 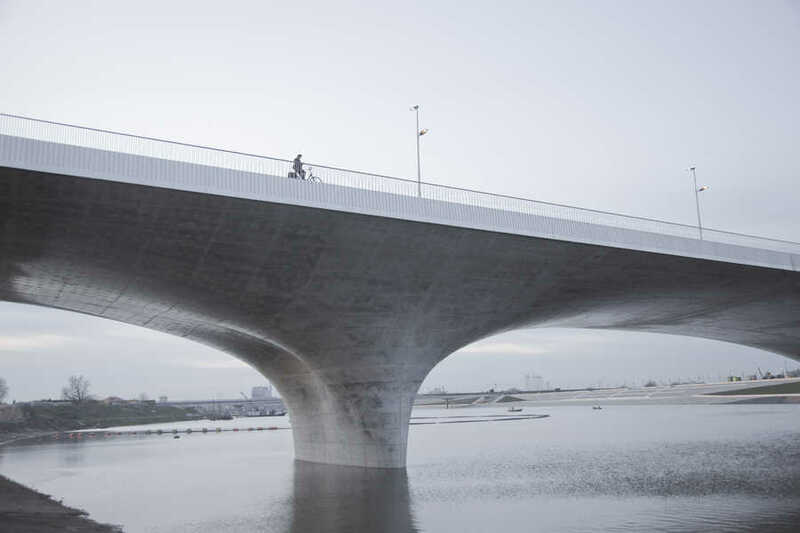 It's a streamlined bridge, seemingly formed by the forces of water, resulting in three double curved pillars and likewise hammerheads. 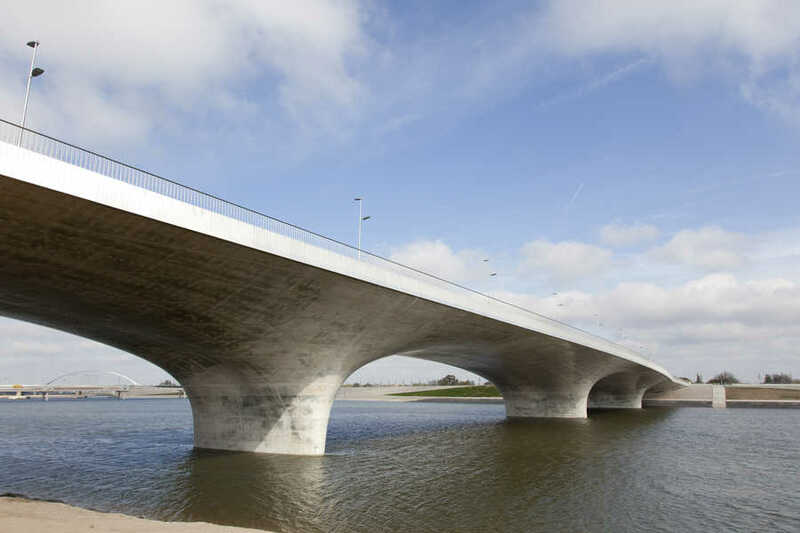 The undulating dynamics of the Extended Waalbridge are also the connection in form with the steel trusses of the existing Waalbridge. 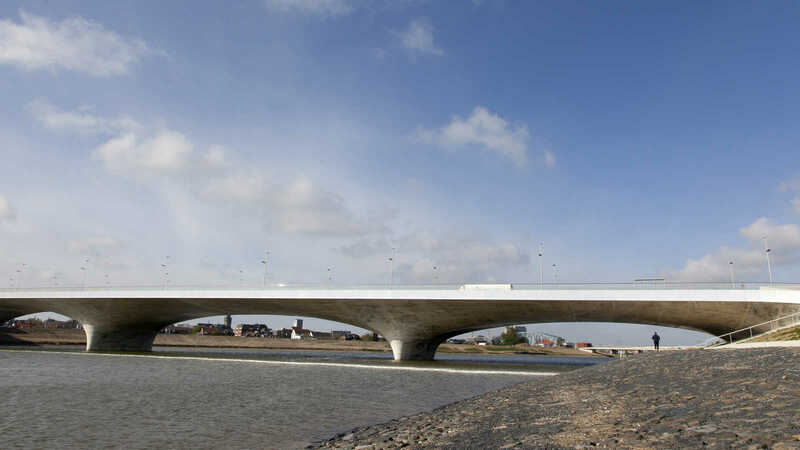 The existing steel arched bridge over the Waal connects in form and size with the large-scale river landscape and the other bridges. 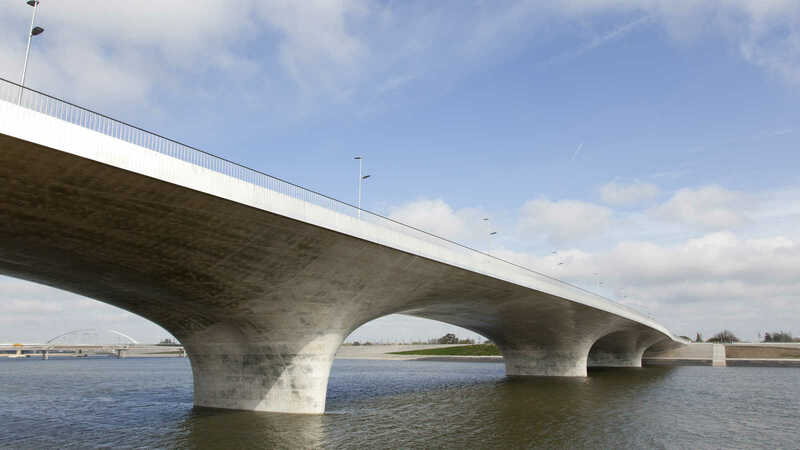 Travelling along the N325, the Extended Waalbridge is subordinate to the grand gesture of her big brother, with the quality of the Extended Waalbridge particularly focussed on the under-construction and detailing. 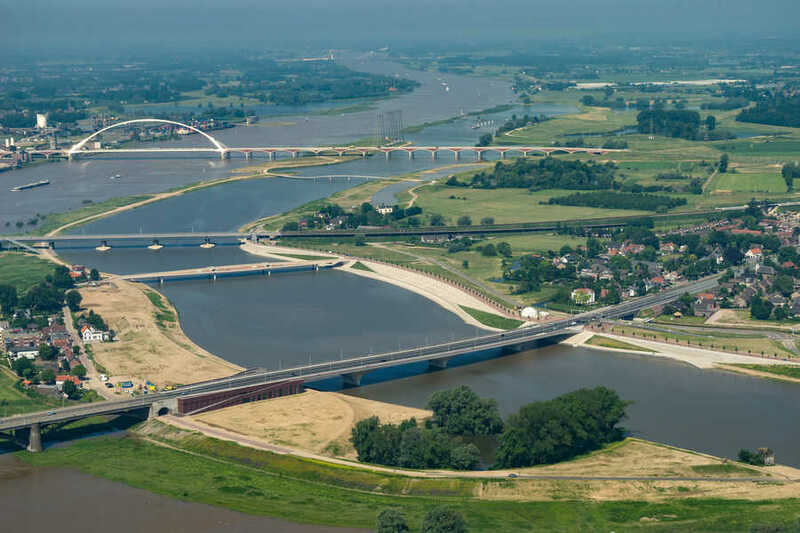 The secondary channel is smaller than the channel of the Waal, and is of a more intimate character, together with its new quay and run-out areas. 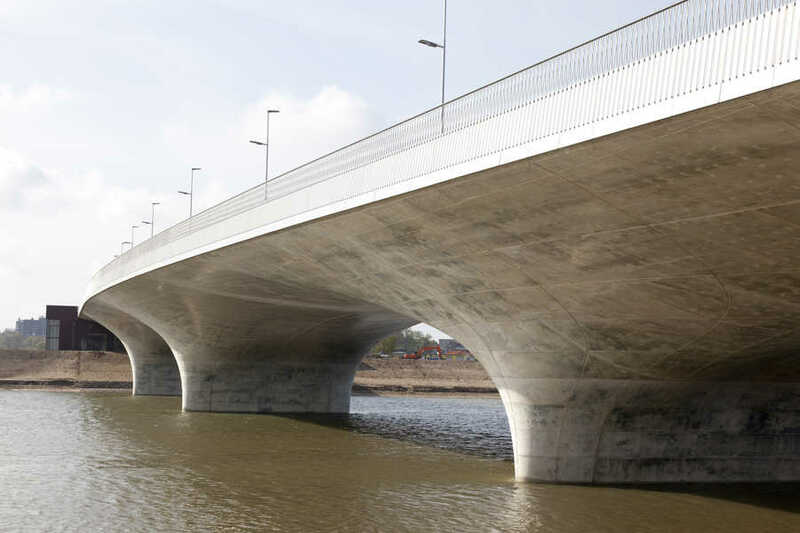 The streamlined shape of the bridge has been achieved in a way that suits the 21st century. 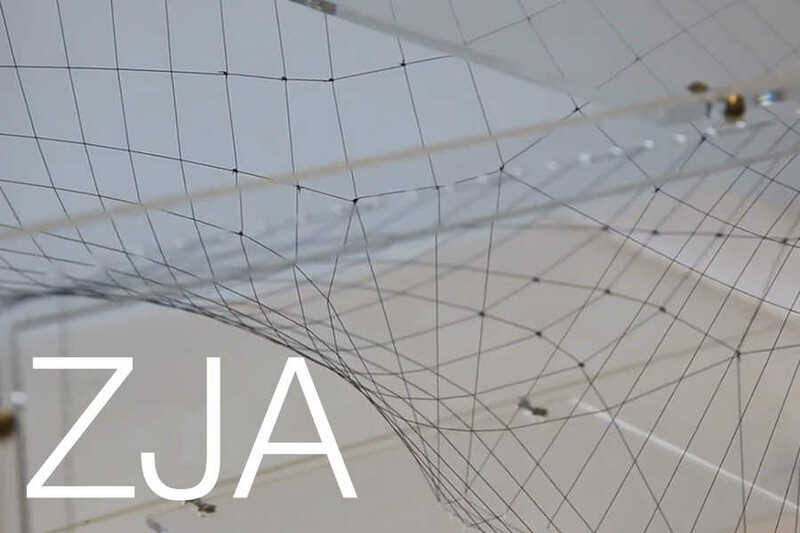 ZJA translated the character of the bridge into a complex parametric computer model that analyses the double-curved form which it generates, and can thus provide geometrical optimization. 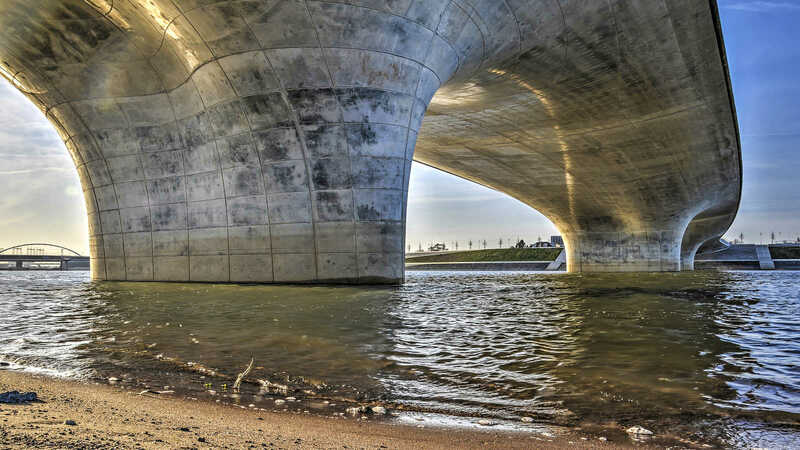 In the construction, a deliberate choice was made to use in-situ poured concrete. This due to the requirement for a monolithic bridge. 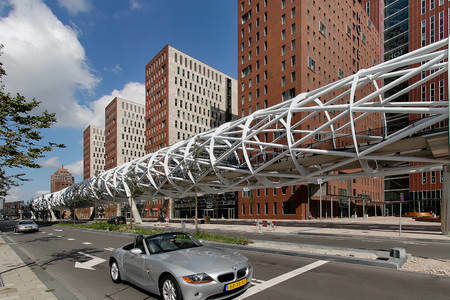 To give the 20.000m3 concrete its shape, 12.000m2 double curved formwork was used, none of which part has a straight piece. 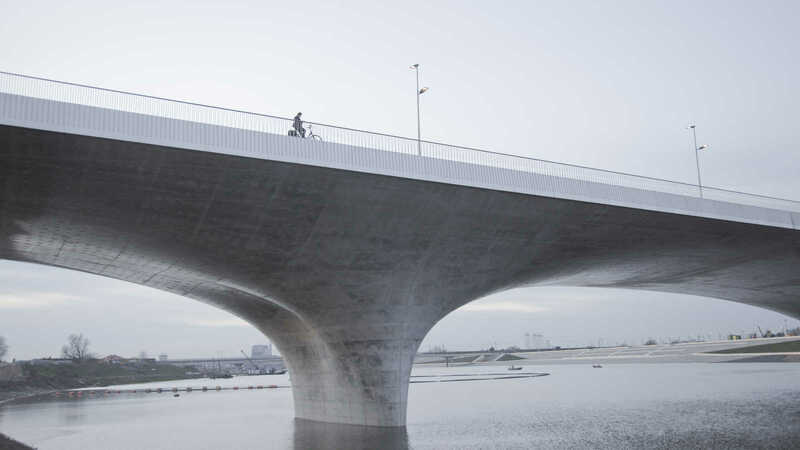 Winner of the Dutch Concrete Award 2015.